This General German Shepherd is so cute! Made by Douglas Cuddle Toy! This German Shepherd looks just like the real thing! This plush has brown fur that makes it so soft to hold. 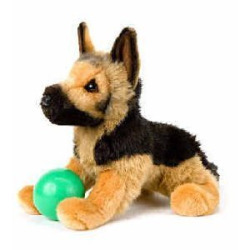 A great new friend for any fan of German Shepherds!